Although Linda Yoshida may not call herself a Renaissance woman, it is easy to think of her that way. She used to own a large art gallery and is still a major supporter of the arts, and she is an author, who has published three books, with another one on the way. But more importantly, Yoshida, along with her husband, businessman Junki Yoshida, supports communities throughout the metro area with several charities, especially the Soulful Giving Foundation.Linda Yoshida’s father died from colon cancer, and during the process of his death, she kept a journal, which provided the basis for her first book, “Flaherty’s Crossing.” She donated 100 percent of the proceeds from the sale of that book to colon cancer research. Then she visited Randall Children’s Hospital at Legacy Emanuel and found out about the Cancer Center for Children. The visit made her realize she needed “to spread out and do more for cancer research. I would love to see treatment start with children. So I sat down with my husband and we came up with the Soulful Giving Foundation; after all, giving comes from the heart and soul.”The Yoshidas started the foundation five years ago, and the result was an event called the Artful Giving Blanket Concert, held on the grounds of their home in Troutdale. “It combines all the artistic elements — music, visual arts, food and wine. Since everything I do is about the arts, it seemed like a natural connection,” she said. Guests pay $50 for a ticket to the grounds, set up a blanket and enjoy everything happening around them in a forested, natural setting. “This is an opportunity for the community to come together, and 100 percent of the proceeds benefit Randall Children’s Hospital at Legacy Emanuel and Providence Cancer Research Center,” Yoshida said. And what does she like best about giving back to her community? “I have received a number of letters from people who appreciate what we do. They see we want to help them. It is easy to just write a check and donate money, but with the foundation, we see people coming together and that is so much grander.” She added that she appreciates the support she gets from board members, all of whom have a connection to cancer in some way, and from more than 100 volunteers. “We welcome volunteers and sponsors. We love to see people affected by cancer find an avenue to help others, and dedicate a contribution to someone they’ve lost,” Yoshida said. Although she and her husband are Troutdale residents, the board members for the Soulful Giving Foundation come from across the tri-county area, including Angela Fox, publisher of the Clackamas Review and Oregon City News. J. Mark Garber, president of Clackamas-based Pamplin Media Group, Gov. John Kitzhaber, Metro Council President Tom Hughes and U.S. Sens. Jeff Merkley and Ron Wyden, who are honorary chairmen of the foundation. When she sat down to write “Flaherty’s Crossing,” her first book, Yoshida decided to come up with a pseudonym that would honor both her own Irish heritage and her daughter, Happy Valley resident Kristina McMorris, who also is an author. 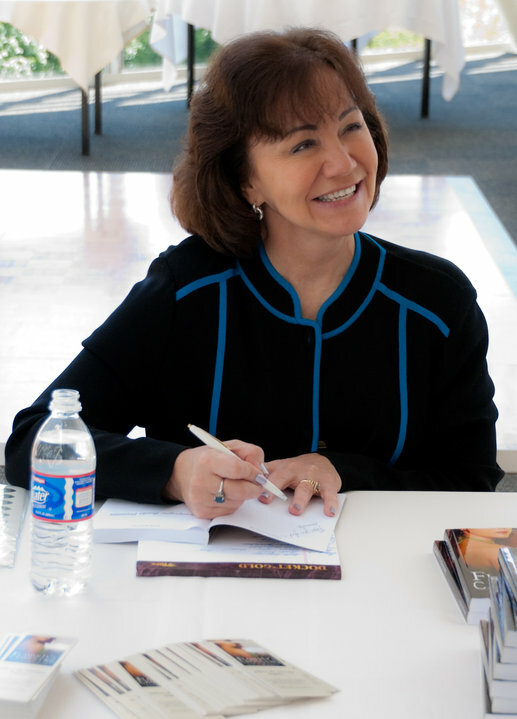 Yoshida chose to write under the name Kaylin McFarren; the Kay is based on the letter K, for Kristina, and Yoshida’s own maiden name, McFarren. “I am 100 percent Irish — both my parents’ families emigrated from Ireland,” she said, noting that the name is also a dedication to her aunt and her great-grandmother, who also were writers. “Flaherty’s Crossing” is based on Yoshida’s own father’s death; it is a novel about love, loss and the power of forgiveness when a young woman, who is estranged from her father, hears his deathbed confession. “I had a strained relationship with my father, and we tried to connect before his death, but he passed away before we had that opportunity. So I thought about a character whose father comes to see her as a ghost, to complete those issues in life,” she said. As she set about writing her second book, Yoshida made a decision to self-publish her work, noting that she can now be her own boss and write when she feels like writing. Both her two most current books, “Severed Threads” and “Buried Threads,” fit into the romantic suspense category and have sold so well that she is now working on a third book in the series, “Banished Threads.” In “Severed Threads” we meet deep-sea diver Rachel Lyons, who is called upon by a museum director to assist Chase Cohen, her former love interest, with the recovery of a cursed relic from a sunken Chinese merchant ship. She has no intention of cooperating, until her brother is kidnapped by a drug-dealing gangster. 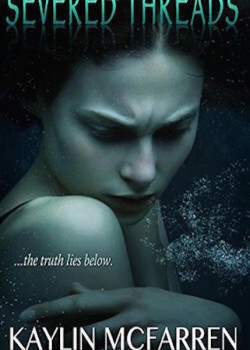 In order to save him and gain control over her own life, Rachel must not only overcome her greatest fears, but also relive the circumstances that led to her father’s death in a diving accident. In the most current book, “Buried Threads,” published in October, readers meet the treasure-hunting duo again. “They have been invited to Japan to look for a sunken treasure, but this job is much more complex and dangerous than anything they have done before. Shinzo, a Buddhist monk, tells them if the treasure isn’t found, then the destruction of Japan will happen,” Yoshida said. Other elements that come into play are beautiful, exotic women, some of whom can fight their way out of most situations, Japanese gangsters, hungry sharks and eels, restless spirits, and lots of obstacles that Chase and Rachel must overcome to survive. Yoshida noted that 20 percent of the proceeds from these two books will be donated to children’s cancer research. Yoshida’s third book in the series, “Banished Threads,” is going to be more of a mystery-thriller. In this book, her duo will go to England to visit Rachel’s uncle and will become embroiled in an art theft. The word “threads” ties in to all of her books for a reason, she said, since Asians believe that love and people are connected by threads, and if you lose someone, the thread is severed. But, if you choose to, you can keep the memory alive, or you can move on and develop a new relationship. To read excerpts from or purchase Linda Yoshida’s books, visit her website at kaylinmcfarren.com. Her books also are available at Amazon.com.